A credit card is a double-edged sword. Paying through a credit card allows you to purchase whatever you want immediately and pay for it in installments later. On the other hand, you have to pay an addition interest apart from the original cost. If you do not manage your finances, there is a possibility of ending up with a massive credit card debt which will eat into your savings. Follow these 13 tips to understand how to pay off credit card debt and take a burden off your shoulders. 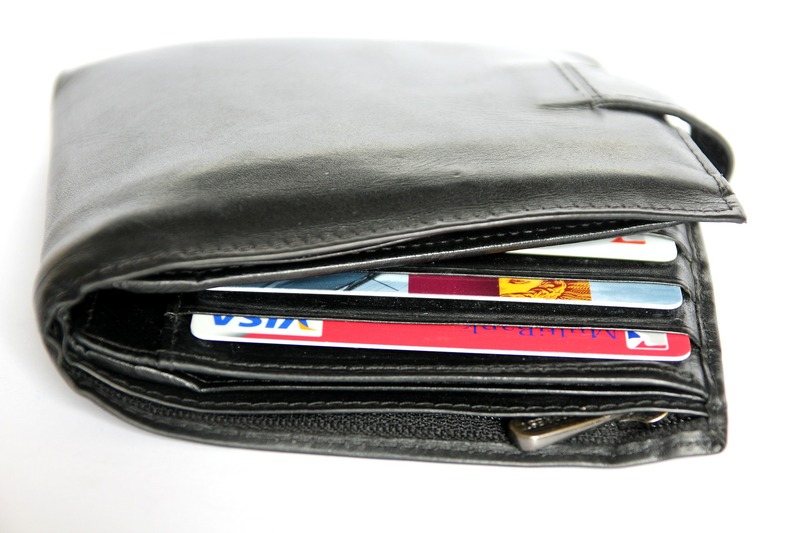 It is important to start paying off credit card debt with a plan in mind. Organize your bills and paperwork before you even begin. The reason this should be done is once your mind is clear and organized, you will be able to discipline yourself into following your debt-free goals. List all your debts and put the following information in a tabular form, outstanding balance, interest, and charge. Now you have all the relevant information to sort out your priorities. You may want to clear small debts initially and work on the larger ones later on or vice versa. A budget is the easiest way to evaluate your finances. Creating a monthly budget will let you know where your hard-earned money goes. When you write down your expenses on paper it becomes easy to curb your impulses. You can easily track your credit card expenditure with a budget rather than look up monthly and weekly statements. Debts with lower interest rates are easy to pay off but the ones with the higher rates are harder to rid. Always try to focus on the credit line with a higher rate of interest. In case you have multiple cards with almost the same interest rate, tackle the one which has the lowest minimum due. Religiously paying the minimum balance every month is great practice but more often than not you end up paying more than what you would have expected. Go through your payment history and see the monthly interest and minimum you have been paying. Next, see your budget and understand how much more than the minimum you can pay. You will be able to pay your debts off much faster than if you pay only the minimum every month. Paying down credit card debt is more important than any home improvement project, a second car, new shoes or clothes which you will wear for that one exclusive party or any extra expenditure which can be taken up later. You do not need the burden of an additional installment on these when you are already paying for another. By cutting down on indulgences you can reduce your financial load significantly and have more money saved for a rainy day. If you are wondering how to get out of credit card debt without having to deal with any paperwork take a look at your savings account. It will tell you exactly how much you can withdraw or if you have enough saved up. If it checks out, temporarily stop putting money into it and use that money for payments. This is the best way to pay off credit card debt and you can contribute to the account once you are done with the debt. Credit card payments fall under “emergency”, sort of. Your emergency fund is a monetary security for you and your family in case you are out of a job, are struck by a natural disaster or need medical attention. Ensure there is enough money left in the account to cover your emergency expenses and take a small portion out of it to repay your debts. Once you have some financial security, replace it and make sure you need never go back to it again. If you do not care about short-term credit, then it is better to transfer your current balance to a credit card with a lower interest rate. For example, you can transfer your balance from a card with 10% interest to one with 4% interest. The credit card company might put down a few terms and conditions to transfer the balance. Find out if there are any hidden fees and calculate the overall savings before you consider it. There are a number of people who can help you sort out your finances. The credit card company is your best bet because they may consider your situation and lower the interest, albeit for a short period. Some companies may even waive late fees and help you recuperate your financial condition. Do not be disheartened if you are unable to succeed on the first try. You can speak to a higher authority and still be able to swing it in your favor. This method may put you in a dilemma, but if the debt is really monumental you have no other choice than to finish it off in one go by opting for a debt consolidation loan. Getting out of credit card debt is your priority here. However, when paying it back you should not make the same mistakes you made with the others. If you do not modify your spending habits then this loan will become another one on your list of debts which you will struggle to repay. With all the debts piling up, you may think closing the account is the fastest way to pay off credit card debt. Not only will it hit your credit score, you will still have to pay the debt. Close the account only when you have paid off what you owe. The credit card company should be notified and made to record that the account closure was requested by you. One of the riskiest options you have is to pool your debts into your mortgage. You may be able to secure a lower interest rate which will free up cash to repay your debts. At the same time, there is a lot of paperwork involved and the process can be quite tasking. Therefore, before you continue with refinancing, consider all the other options and make an informed decision. If there is no other choice than to refinance and you feel it serves your purpose, go ahead but proceed with caution. Ensure you continue to follow these tips even after you have paid off your debts in full. Managing your finances is one of the hardest but most important tasks you have to undertake. It provides you with a sense of security and stability which is useful in times of need.